Show off your love for chemistry with these nicely embroidered patches. 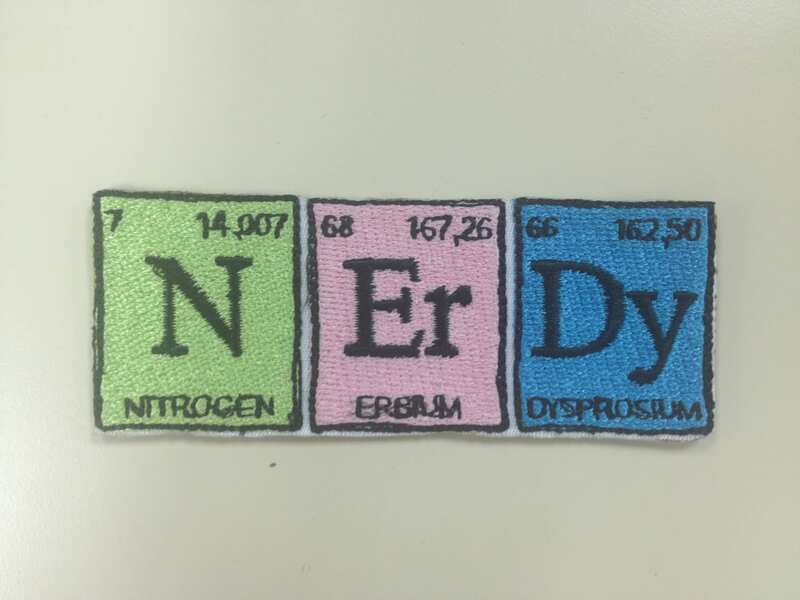 The first patch spells out the word 'Nerdy" using elements from the periodic table. This patch has light lime thread behind the N, pastel pink behind the ER, and pacific blue behind the Dy. The text and border are sewn in black. 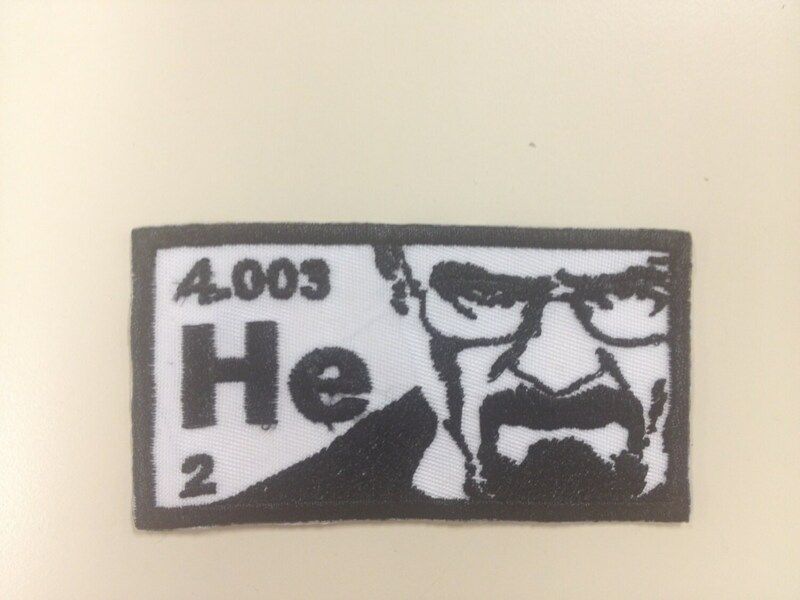 This patch measures 3 1/2 W X 1 1/2 H.
The second patch is sewn in black with a white applique patch background. This is inspired by using Walter White from the series Breaking Bad. This patch measures approximately 3"W X 1 1/2"H.
The person who was given it as a gift loved it! LOVE IT!!!!!! COOL AS ALL HECK!!! Shipped SUPER quick!!! Thanks again!! !